Watch for our exciting 2019-20 events featured here! Badgerette is changing the face of competition! Always exciting, always on time, always a blast & it’s always about you! Whatever your style, we bring you the best performance opportunities & awards for your team! Enjoy great feedback from certified judges in a supportive, fun-filled atmosphere. We care, we listen & we are committed providing a positive experience for your dancers & fans. This is your year… what are you waiting for? 2019 WI Spirit Fan Information & Admission! 2019 Spirit Competition Final RESULTS! Don't miss the grand finale of the 2018-19 performance season! Mini, Youth, JR High, JV & Varsity teams (K5-12th) have the chance to showcase all of their hard work at the annual, 2018 Wisconsin Spirit Championship! In addition to team categories in Pom, Dance, Kickline & Hip Hop, dancers will also enjoy the Duet & Ensemble divisions & “Outstanding Performer” options! In addition to awesome awards, your team can earn Free Poms, Free Team Pizza Parties & 2019 Summer Camp Scholarships! Come out to the 2019 Wisconsin State Fair for this fantastic day of poms & community spirit! The Wisconsin State Fair Pom Competition will celebrate NEW Age Divisions with Tiny, Mini, Youth, JR High, and High School Teams! Teams will enjoy FREE TICKETS into the fair, an outdoor competition experience & all the sights, sounds, food & FUN you can handle. You need to add this awesome summer showcase to your summer competition calendar! 2019 Parent/Fan Ticket & Event Information! The 2019 Midwest Grand Championship will be the PREMIER event of the summer! The top teams from each of our BPP Camps will join together for an incredible weekend showcasing the Best in the Midwest! Along with competition, the fantastic venue and our "Coach Kick-Off" Breakfast, dancers will love the fun of our host hotel and nearby shopping! The weekend culminates with our "Grand Championship Gala" featuring top performances, awards and the announcement of our 2020 Disney All Star Talent Tour cast! You need to be here… DON'T MISS IT! It’s going to be a blast at this spooky fall favorite! Come be featured on the Wilderness Stage at Six Flags Great America® & enjoy all the sights & sounds of “Fright Fest”! Mini, Youth, JR High, JV & Varsity Teams are welcome to enter a variety of performance divisions for the chance at trophy and cash prizes! You will also enjoyed discounted ticket options exclusively for our dancers & fans. This is an awesome, family-friendly event you need to make part of your fall calendar! See you at Fright Fest! Join us for this annual, fall favorite at Brookfield East HS in Wisconsin. Dancers in grades 4th - 8th will love learning an age-appropriate routine, taking technique classes leveled for their skill ability and perform for our staff jugdes with their own "home routine"! All of this and lunch is included too! Coaches join us for FREE and have fun networking with other coaches during our "morning coffee talk". It will be a blast and we encourage you to join the fun with the Badgerette Staff! We are so excited to welcome you to our 14th Annual, MICHIGAN STATE SPIRIT SHOWDOWN on Saturday, December 7th! You will love the variety of style and age-divisions offered. Come experience the Badgerette difference... ALL styles of Michigan pom and dance are welcomed and encouraged! We are pleased to offer a variety of team divisions, as well as, solo and duet/trio opportunities! Here is your chance to show-off all of your hard work! Join us and celebrate the BEST pom & dance MICHIGAN has to offer! 2019 Badger State FINAL AWARDS! You asked for it & we deliver because every team deserves to compete on the state level! We are thrilled to welcome you to the 7th annual Showdown of Wisconsin’s finest pom & dance teams at the ALLIANT ENERGY CENTER! Come show-off all of your hard work & enjoy our special honorary, inspirational guest performers as well! Varsity teams will love divisions based on their team size & coaches are always FREE! 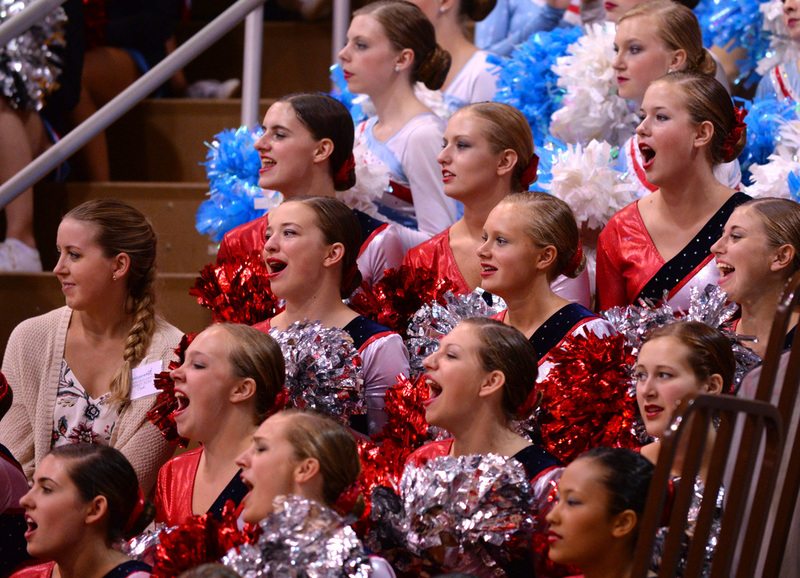 The awesome award opportunities include: WI State All*Star Honors, 2020 Sportsmanship Team of the Year & the chance for FREE Poms & State Champ Tshirts. You must add this to your competition calendar in 2020, Wisconsin!